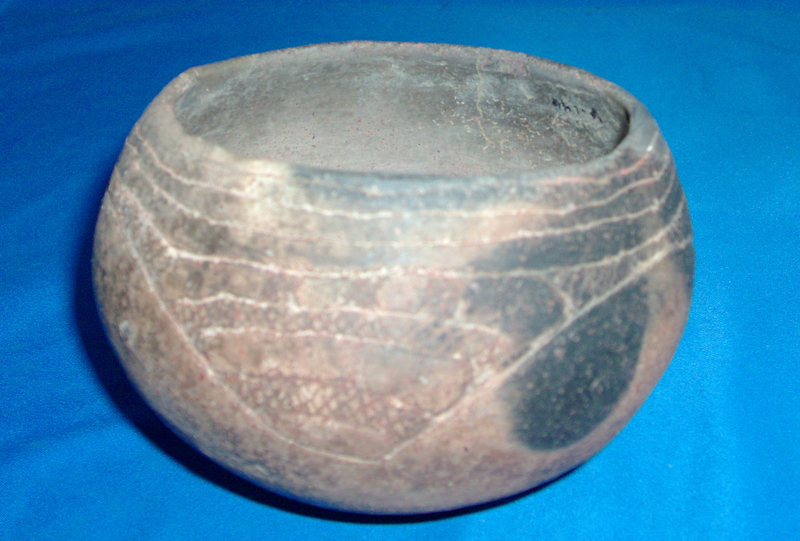 A Small To Medium Size, Well Made, Caddo Friendship Engraved Bowl That Exhibits Surface Aging & Coloration Patination, Correct Type Of Engraving, Aged Surface Grog Deterioration, Visible Bottom Aged Use Wear, Visible Open Pit Firemarking, Aged Deposits In The Engraving, Correct Material & Manufacture For The Area Found. Found By Mr. Hayes, On The Little Missouri River, On His Farm Property. Ex-Hays, Samuel D. Dickinson ( V-146 ) Scott Davidson And Jack Bonds Collections! Includes A Ken Partain Certificate Of Authenticity!